A geneticist who fears that her son may be becoming a serial killer, creates a group of clones in an attempt to cure him of his psychopathic tendencies by allowing him to relive the murder of his first victim. Based on Joseph Heller’s seminal novel of the same name, Catch-22 is the story of the incomparable, artful dodger, Yossarian, a US Air Force bombardier in World War II who is furious because thousands of people he has never met are trying to kill him. But his real problem is not the enemy, but rather his own army, which keeps increasing the number of missions the men must fly to complete their service. Yet if Yossarian makes any attempt to avoid his military assignments, he’ll be in violation of Catch-22, a hilariously sinister bureaucratic rule which specifies that a concern for one’s own safety in the face of dangers which are real and immediate is the process of a rational mind; a man is considered insane if he willingly continues to fly dangerous combat missions, but a request to be removed from duty is evidence of sanity and therefore makes him ineligible to be relieved from duty. The series will be directed by George Clooney and Kyle Chandler. 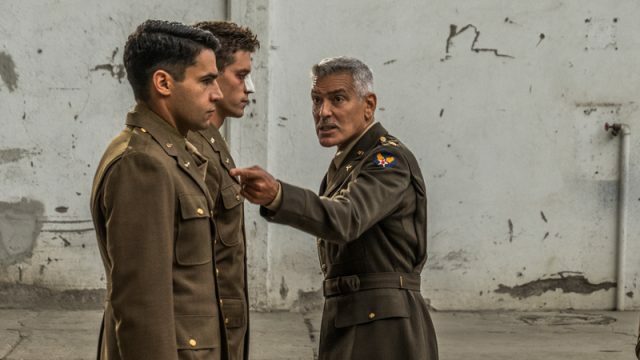 It will also star Christopher Abbott, Hugh Laurie, Giancarlo Giannini, Jay Paulson, and Julie Ann Emery. Follow the adventures of Lt. Mitch Buchannon and his beautiful team of exceptionally talented lifeguards as they keep the beaches safe for tourists and locals alike. A bottle of wine tastes just as good when you pay with all pennies. That’s a fact. And no matter what the city throws at twenty-somethings Abbi and Ilana, these broads are all in. Inspired by a true story, The Terror centers on the British Royal Navy’s perilous voyage into unchartered territory as the crew attempts to discover the Northwest Passage. In addition to these notable recent inclusions, Hulu will be adding a large list of movies and shows to the service. The full list can be viewed below. The post New to Hulu in May 2019: All the Movies and Shows Coming and Going appeared first on ComingSoon.net.